Thomas Cook, Britain's leading and the world’s oldest tour operator is struggling with a fall in demand for package holidays and increased online competition. Hence, the company put its airline up for sale in February and it said last month that it would close 21 stores across the country and cut more than 300 jobs. Why More Than 7 Million Brits Plan a UK holiday during Easter in 2019? VisitEngland’s ‘Trip Tracker’ survey shows that 7.4 million Brits are definitely planning an overnight holiday trip in the UK this Easter weekend, bringing an estimated £1.8 billion boost to the economy. Swiss cities dominate the top ten costliest locations in Europe for business travel, while London is the joint tenth most expensive city in the world for business trips. What Brits Want When It Comes To Book A Holiday? A survey of over 1,000 people has revealed holidays are enjoyed more than those shared with children. The study also shows more travel insights about Brits when they are booking their holiday. A new research reveals some royally good insights into the Great British family holiday. Since becoming parents, nearly half (44%) say finding time for personal relaxation is the most difficult thing to do on a family holiday. Universal Studios Hollywood announces all-new “The Secret Life of Pets: Off the Leash!” ride inspired by Illumination’s 2016 global blockbuster movie. SeaLink Travel Group announced a global partnership with Rezdy, a leading independent online booking system. Rezdy will connect SeaLink Travel Group’s suite of products to distribution partners globally, delivering a seamless booking process. 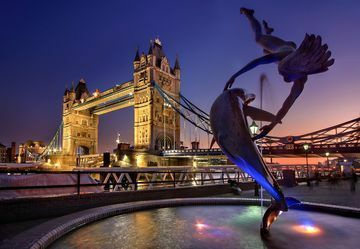 London attracts approximately 30 million visitors every year, with people traveling from across the globe to experience its unique character and culture. Hertz Europe has launched The British Collection in the UK, offering a new high-end customer service experience, with a package of Best-of-British services and products – and a personalized welcome service. The Antigua and Barbuda Tourism Authority has unveiled its new global summer campaign, #WhatCoolLooksLike, which is expected to convey the trendiness of the destination and its appeal as the ideal summer vacation spot for visitors looking for enjoyable experiences. Why to Visit Yucatán, Mexico?